UMP | University of Minnesota Press Blog: Linda LeGarde Grover: On resilience and loss. Years later my father, brother, and I stood in a courtroom as a judge who was attempting to determine an old probate case involving treaty land holdings and allotments asked a list of questions about an aunt who had disappeared decades before. It is doubtful that her story will ever be known. Perhaps the fictional Loretta Gallette, the young mother who disappears in this novel, walked out of the courtroom with us; not long after that she made her appearance in my writing. The fictional Loretta Gallette gave to her daughters “the most beautiful names she could think of”: Azure Sky and Rainfall Dawn. She also gave them a night of memory before she signed them over to the county foster care system and vanished. The loss felt by the extended family and community of the Mozhay Point Ojibwe rippled through the decades that followed like waves expanding from a rock thrown into a pond. 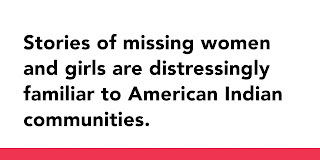 In the Night of Memory is fiction, yet stories of missing women and girls are distressingly familiar to American Indian communities throughout North America. As Loretta’s story touched many lives, so do the stories of all Native women; Loretta, her daughters, and the Mozhay Point Band of Ojibwe will, sadly, seem familiar in many ways. Each story is unique and singular; at the same time they are all the same: there is loss and guilt, and there are countless questions of what if, how, why; of what will we do now and how can we bear this and endure. 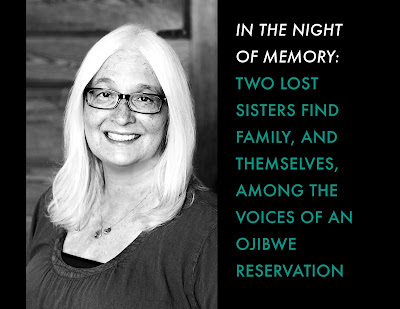 In the Night of Memory is a recounting of loss by Loretta’s daughters as well as other women of the northeastern Minnesota communities of Mozhay Point, Miskwaa Ziibens, and Duluth. In the tradition of time-honored Ojibwe teaching, Auntie Girlie, the oldest living Mozhay relative, provides the reader with a history of both communities as well as the complex relationships between lands and people. Like me, Auntie Girlie is a sentimental realist who intends that the story shall be told. Between the two of us we place Loretta, her girls, and the relatives and community members of the Mozhay Point Band of Ojibwe within a context that shines a light of humor, hope, and resilience on the actions and events of our lives and future. Linda LeGarde Grover is professor of American Indian studies at the University of Minnesota Duluth and a member of the Bois Forte Band of Ojibwe. 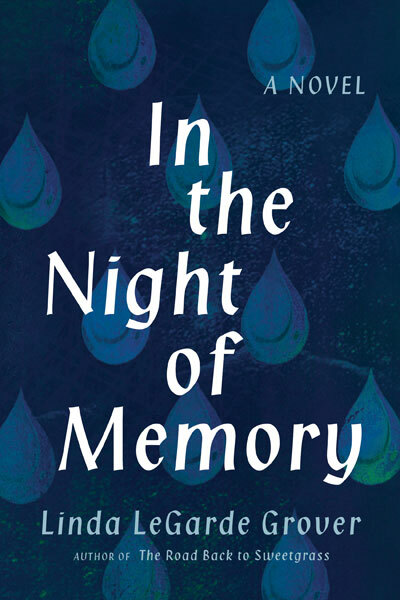 Grover's latest novel is In the Night of Memory. Her novel The Road Back to Sweetgrass (Minnesota, 2014) received the Wordcraft Circle of Native Writers and Storytellers Fiction Award as well as the Native Writers Circle of the Americas First Book Award. The Dance Boots, a book of stories, received the Flannery O’Connor Award and the Janet Heidinger Kafka Prize, and her poetry collection The Sky Watched: Poems of Ojibwe Lives received the Red Mountain Press Editor’s Award and the 2017 Northeastern Minnesota Book Award for Poetry. Onigamiising: Seasons of an Ojibwe Year (Minnesota, 2017) won the 2018 Minnesota Book Award for Memoir and Creative Nonfiction and the Northeastern Minnesota Book Award. "With In the Night of Memory, Linda LeGarde Grover offers us a gift of story across generations of Native American women. This book examines what it means to grow up poor, grow up female, and grow up in a place that should be home but feels far from belonging. Grover creates a tapestry of history and imagination, a weaving of perspectives beautiful and wise, a collection of truths that anchors and honors the experiences of Indigenous women." "In the Night of Memory is a moving story of loss and recovery in Native America. Linda LeGarde Grover has created fully realized characters pushed to the margins of their own lives but who, nevertheless, manage to live on their own terms. Riding on the wave of this poignant novel are some of the most important issues affecting American Indians today, including the loss of family and heritage and the destruction and disappearance of American Indian women. A remarkable achievement." "Once again Linda LeGarde Grover skillfully knots together the lives of Anishinaabeg connected to the fictional Mozhay Point Reservation. Like lace, the knotted pattern has gaps, absence, loss, and a design because of what—because of who—is missing. Set across decades and told through generations of relatives, In the Night of Memory mirrors actual history, from government removal of American Indian children to our current crisis of missing and murdered Indigenous women in the United States and Canada. The intimate and interested narrative voices carry the readers, keeping them witnessing and understanding how what happened in the past never stops happening—and continues to impact communities today." "I love this book! What a beautiful story of love and loss—from the pain of intergenerational effects to the trauma of the child welfare system to the hopefulness of community re-engagement. I felt an instant connection with the poetically named Rainfall Dawn and Azure Sky, and their mother Loretta, too. The whole family lived and breathed on the page and filled me right up as if I were there with them. I was sad to finish this one."